He's been out of office for nearly a month. Everyone wondered what he was going to do next? Take a cushy corporate job with Highmark? Use his political connections to secure a lobbying gig? Hole up in a cabin at Seven Springs for a few months and record the ultimate breakup album? 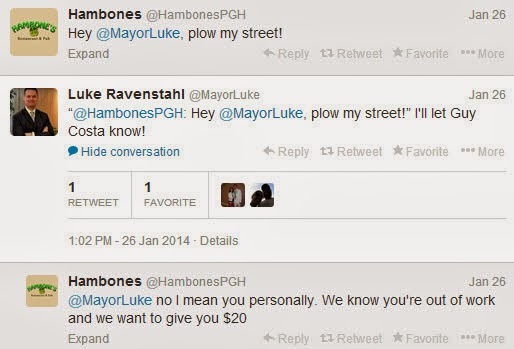 For now, it seems, Mayor Dudeface is content to sit back and weather the polar vortex by passive-aggressively antagonizing the new mayor on Twitter. 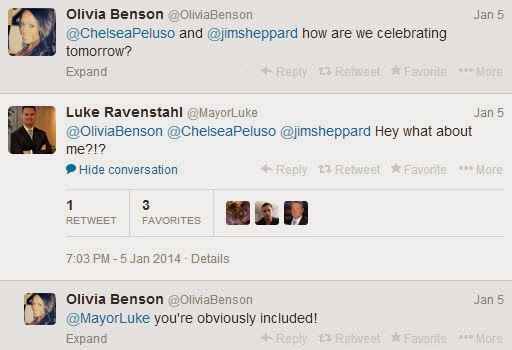 Yeah, the mayor is in D.C. He's been there a lot lately. First, he attended the United States Conference of Mayors, but he's going back tonight after some meetings in Harrisburg because he was invited to attend the State of the Union address. 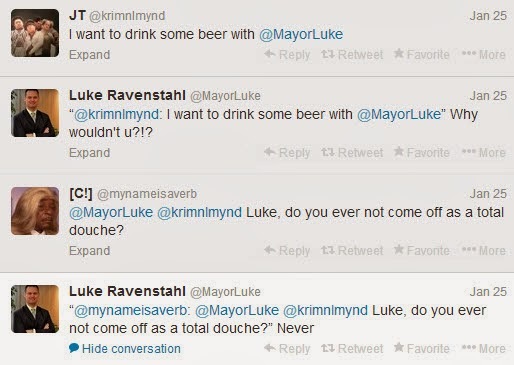 It's just like going on Letterman, except you're not sandwiched between Matt LeBlanc and some guy with an ocelot. Are people complaining about the roads just to complain? The roads aren't that bad, and the mayor's office has issued press releases every 28 minutes for the last two weeks updating the plowing and salting plans. This is the kind of government transparency we've always wanted. Instead of the government climbing into your uterus and declaring martial law, Peduto's administration is announcing everything short of what the mayor has for lunch every day. Dammit, Meg! Know how to address your betters over the Internet! This dude probably doesn't even live in the city. He probably lives out in, like, West Mifflin. We're getting the old gang back together!? Awesomesauce! I'll see you guys at Saddleridge at 8? Guys? Don't mind me, Cameron! Just doing a little political maneuvering! Wanna hang out? Spaulding Gray used to say, "Everyone knows they're going to die, but no one really believes it." I think that holds just as true here.